The Extent of the Atonement: A Historical and Critical Review (B&H Academic, 2016). 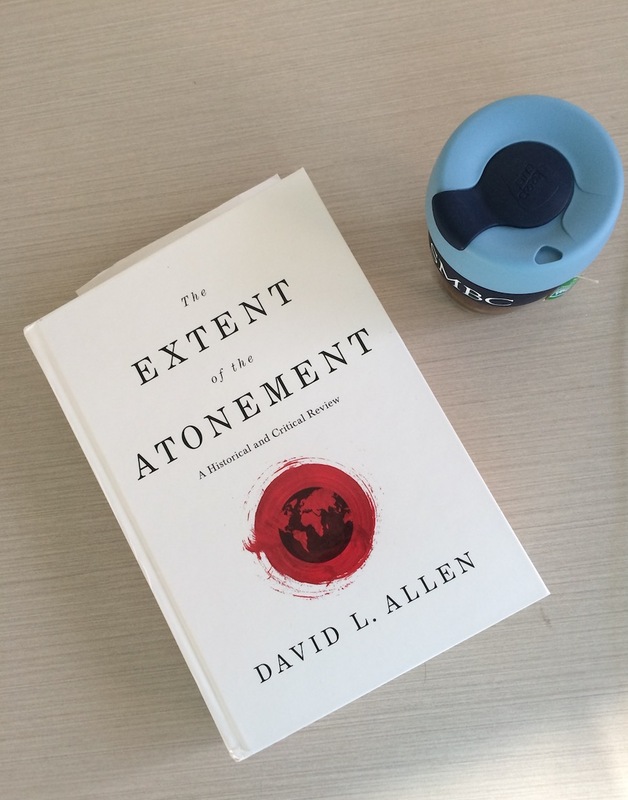 What’s the big idea: David Allen makes a comprehensive biblical, historical, theological case that the majority of Christians, even within those who are considered Reformed, affirm an “unlimited atonement” as the best understanding of the extent of Christ’s saving work. Easy to read? It was OK. It’s certainly an extensive tome on the atonement’s extent, so I’ve read through about a third of it so far. The sheer size of the book will probably appeal to those interested in the topic, rather than general readers. That being said, B&H editors have helpfully indexed the book by subject, author and Scripture passage. If you know how to search through this book, it becomes easy to read and a goldmine of information. It’s comprehensive. From Irenaeus to Al Mohler, Allen surveys what every well-known (and more unfamiliar) Christian leader has believed regarding the extent of the atonement. You’ll need to discern between the historical data and Allen’s own commentary and assessment interspersed throughout. But a lot of research has gone into this book, which we can be grateful for. I appreciated the tone of Allen’s work. He doesn’t play the man but seeks only to critique the positions that they hold. This kind of writing style is often lacking in the intramural debates on this topic. He provides two helpful charts (p.xxviii, 766) – one is a summary of four different views of the extent of the atonement. Another is a comprehensive list of theologians and their view on this matter. Part 3 of the book comprises a chapter-by-chapter critique of Jonathan and David Gibson’s From Heaven He Came and Sought Her, the most comprehensive defence of definite atonement to date. Even for someone who’s persuaded by the arguments for definite atonement, I found it helpful to understand the objections from Allen’s side of the fence. He summarises each contributor’s arguments fairly, and offers thoughtful and persuasive rebuttals. For an 800-plus “tour de force”, there was surprisingly little discussion on OT conceptions of the atonement. For example, the Day of Atonement is only referenced twice (p402 in a discussion of Robert Lightner, and when Allen critiques the article on definite atonement in the OT in From Heaven He Came And Sought Her). A bit less of an inquisitionary tone. I understand that this is meant to be a comprehensive historical survey, but Allen seems to take aim at any and every author who’s ever published about the atonement’s extent. In some cases, he pulls apart their arguments in the kind of lengthy, meticulous manner one normally associates with blog posts you disagree with (e.g., poor Paul Jarvis in p.610-12). At times, it seemed like a meeting or phone conversation would have sufficed in place of the extended critique. Some more trimming. I appreciate how extensive the data is out there, but there’s no reason why some of the historical surveys couldn’t have been abbreviated. Allen sometimes adopts unclear labels to describe his and other viewpoints. He insists that no Baptists can be “Reformed” in the confessional sense (p.xv), and goes so far as to call his own view not Arminian, or Moderate Calvinist – but simply, a “Baptist” perspective (p.xviii). Verdict: Not for the faint-hearted, this extensive tome about the atonement’s extent serves as a thorough, critical companion to From Heaven He Came and Sought Her. Jeff Johnson offers a detailed critique of Allen’s book from a definite atonement perspective. This entry was posted in Books, Reading, William on 14 August, 2018 by W C.
Amyraut on Predestination: The First Published Translation from the French (Charenton Reformed Publishing, 2017). Size: 190 pages – a 30 page biography, some translation notes, and then 100 pages of Amyraut’s own words from Brief Traitté de la Predestination et de ses principales dependances (Brief Treatise on Predestination and Its Dependent Principles). What’s the big idea: Never heard of Amyraldianism? 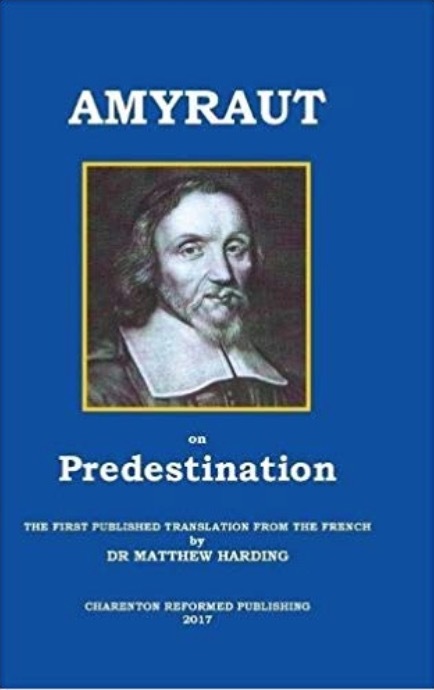 This English translation of his seminal work on predestination and the atonement (which sparked three heresy trials!) will help you understand where the idea of “4 Point Calvinism” or “Moderate Calvinism” originated from. Easy to read? Definitely. Harding’s translation is lucid and clear, and even sounds like a “French” person is saying it. I found the book easy to use when preparing a theology essay on Amyraldianism. The fact that this work now exists. A lack of primary sources has been a longstanding barrier to evaluating Amyraut’s teachings accurately – for example, if you want to know what Calvin himself taught you can read his Institutes. Matthew Harding and Alan Clifford have done a service to the church by publishing the first English translation of Amyraut’s most well-known work, This will hopefully provide clearer insight into Amyraut’s teachings. The biographical sketch by Alan Clifford reads well. While he comes across as very adoring of Amyraut (complete with photos of the archway he used to walk under! ), it doesn’t seem to seep into hagiography. Harding is a careful guide – his explanatory notes are helpful, particularly when Amyraut seems to his metaphors or says confusing things, e.g. a “predestination unto salvation” and a “predestination unto faith” in Chapter 13. Amyraut’s words exude a warm and pastoral tone. It certainly helped me to gain a fuller picture of his teachings, not just as an abstract theology, but motivated by real issues from real people. It’s much harder to see Amyraldianism in this way if you’re reading him through the lens of secondary authors who seem more interested in dissecting his theology rather than listening to his words. While I don’t agree with Amyraldianism myself, reading his words directly helped me to appreciate his view as a legitimate view of the atonement within the Reformed evangelical tradition. Who I’d recommend it to: Two kinds of people – those who call themselves Amyraldians (e.g. Sydney Anglicans) but have never read Amyraut’s own teachings; and those who are wrestling with the idea of the “L” in “TULIP” (limited atonement). Don’t discount Amyraut’s views before studying him first-hand. Get the book from Amazon or Book Depository. 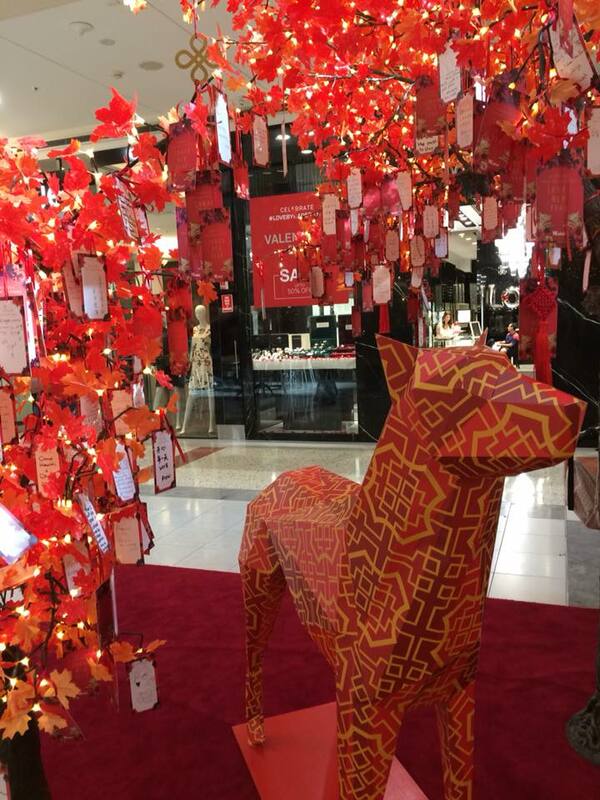 This entry was posted in Books, doctrine, Reading, William on 13 August, 2018 by W C.
It turned out to be a wishing tree – people were invited to write their wishes on a card, and hang them on the tree. The branches were full of notes. I wish for endless love! And lots of money! Dear God, May we love each other just as you have loved us. I think what kept Cheryl and I there for over an hour, reading message after message, was this: what we wish for is a window into our hearts. So I started to pray to the Triune God for each card I read. After all, who else can answer our prayers? Who are we wishing to? God? A Higher power otherwise undefined? I found it hard to stop thinking about the messages afterwards, so jotted a few lines of verse down. God’s Son wishing life from his death on a tree. This entry was posted in Expressiveness, Personal, William on 2 March, 2018 by W C.
Going Deeper with New Testament Greek: An Intermediate Study of the Grammar and Syntax of the New Testament (B&H Academic, 2016). 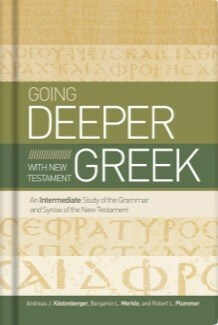 What’s the big idea: The book aims to “stir in you a passion, and to provide you with the necessary tools, to ‘go deeper’ in your pursuit of your master of NT Greek” (p.1). There’s a quip in New Testament Greek circles that, for every 9 Greek lecturers, there are 10 Greek grammars. The most recent contribution to the scene is Going Deeper with New Testament Greek: An Intermediate Study of the Grammar and Syntax of the New Testament (B&H Academic, 2016). I first heard about this volume through Rob Plummer’s Daily Dose of Greek videos, and thought it would be a good complement ahead of my second year of learning biblical Greek. Easy to read? Surprisingly enough, yes. It’s certainly more readable than Daniel Wallace’s grammar (as excellent as it is). I think part of the charm of Deeper Greek is that it’s organised in a way that blends the traditional grammar with other helpful content (like a Swiss Army knife). Each chapter ends with practice exercises, a vocab list and tables summarising the content just covered. I came away enjoying, rather than enduring each chapter I read. What I appreciated? Several things. I loved how every chapter features a short introduction where the author takes an example from the Bible to illustrate the practical relevance of the content to follow. For example, Chapter 2 on The Genitive Case begins with a translation issue in the Bible: should Luke 2:14 read “Peace on earth, good will towards men” (KJV) or “Peace on earth to those whom his favour rests” (NIV)? Lo and behold, it all hangs on whether there’s a genitive noun, and I’m hooked into going deeper into the rest of the chapter. Contrast this with Wallace, who writes assuming that you’re motivated to plow through 33 types of genitives without being convinced of its usefulness. I found the first chapter on the history of Greek and textual criticism very helpful to kick things off and bolster my confidence that in 99.9% of cases, we have in our Bibles God’s authoritative Word preserved for us. There’s a very interesting and informative chapter on verbal aspect, an area of debate among NT Greek scholars today. The last chapter gives practical tips to keep up your Greek. You really feel like the three authors are encouraging you to keep studying and mastering Greek. The book contains charts summarising each chapter. These are fantastic and would be worth the price of the book alone, though seems like you can purchase them separately. Section numbers. The lack of them throughout the textbook. It made it more difficult to find specific concepts more easily and to cite them. An answer key for the Practice Exercises would have been helpful for students. Who I’d recommend it to: Any Greek student with a year of Greek behind their belt, or a pastor who’s “apostasised” from their Greek in seminary and wants to get back on the saddle. If you’re a whizz at Greek and love getting into the details, the thoroughness of Wallace’s grammar might be more suitable. Verdict: This book will help you to understand the language of the New Testament better, and to become excited about studying God’s Word more deeply. Deeper Greek website – coming soon, a website that will hopefully dive into some of the topics covered in this textbook. A video discussion on verbal aspect would be very helpful. This entry was posted in Books, Reading, William on 5 February, 2018 by W C.